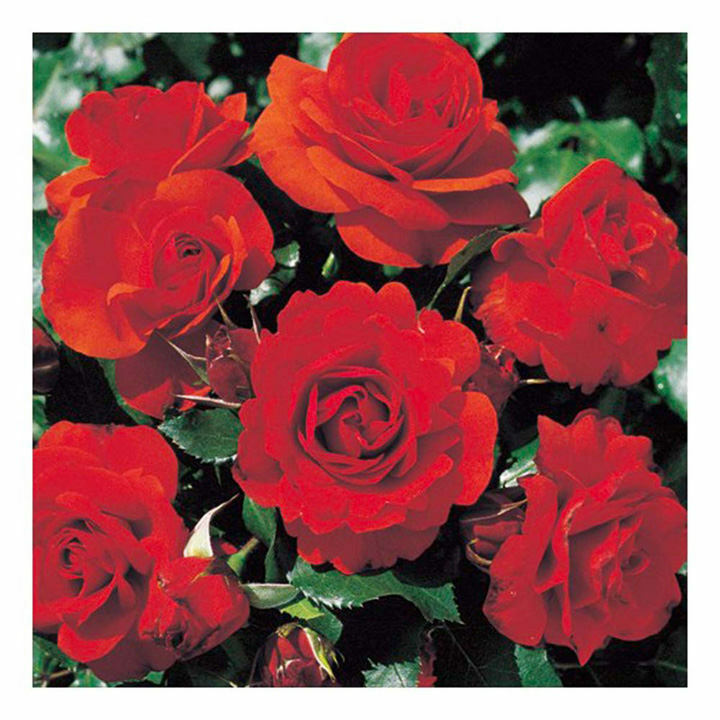 Outstanding for continuity and duration of bloom, this is the best compact rose in fiery scarlet for mass planting. Recommended for group planting, bedding or hedging and to mix in summer flower borders. The bush is well-branched and covered with shiny foliage. Scent 3. Colour - pillar box red. Height 75cm. Bush variety. Ideal for beds and borders, all group planting situations, hedging. Scented. Prefers full sun or partial shade.